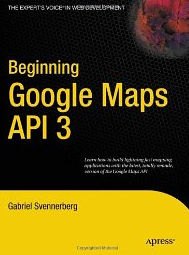 The following is a list of query string parameters that can be passed to Google Maps. These arguments are helpful if you want to get Google Maps to display driving directions, which are not available under the API. q= “q” stands for “query” and anything passed in this parameter is treated as if it had been typed into the query box on the maps.google.com page. g= “g” is an address or location that provides extra context for the “q” parameter. Google Maps stores the last ran search here, but if it is the first search it can only contain your starting location. This is a potential information leak, so make sure you do actually mean to share the content of this parameter. 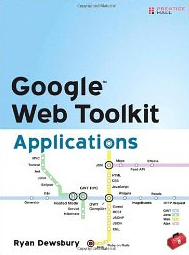 mrt= “mrt” specifies a type of search. The default is blank, which searches for everything. start= “start” skips the first (start-1) matches. num= “num” displays, at most, the given number of matches. The valid range is 0 to 20.
ll= “ll” stands for Latitude,longitude of a Google Map center – Note that the order has to be latitude first, then longitude and it has to be in decimal format. sll= “sll” Latitude,longitude of the point from which the business search should be performed. spn= “spn” Approximate lat/long span. The zoom level will be adjusted to fit if there’s no z= parameter. latlng= “latlng” takes three numbers separated by commas. The first two numbers (presumably representing latitude and longitude multiplied by 1000000) are ignored. The third number seems to be a Google internal “Company ID” number for a particular business. cid= “cid” is similar to “latlng,” but generating a different map size. It takes three numbers separated by commas. The first two numbers (presumably representing latitude and longitude multiplied by 1000000) are ignored. The third number seems to be a Google internal “Company ID” number for a particular business. geocode= “geocode” is a concatination of “geocode” encoded values for waypoints used in directions. radius= “radius” localizes results to a certain radius. Requires “sll” or similar center point to work. t= “t” is Map Type. The available options are “m” map, “k” satellite, “h” hybrid, “p” terrain. z= “z” sets the zoom level. layer= “layer” Activates overlay. Current option is “t” traffic. lci= “lci” activates layers of tiles and needs to be comma-separated. view= “view” can be used to select text view (view=text) or the normal map view (view=map). saddr= “saddr” source address. Use this when asking for driving directions. daddr= “daddr” Destination address(es). Use this when asking for driving directions. mrad= “mrad” gives you additional destination address. dirflg= “dirflg” is the route type: dirflg=h Switches on “Avoid Highways” route finding mode. dirflg=t Switches on “Avoid Tolls” route finding mode. dirflg=r Switches on “Public Transit” – only works in some areas. dirflg=w Switches to walking directions – still in beta. via= “via” gives a comma separated list of intermediate addresses for directions, that should be ‘via points’. doflg= “doflg” Distance Units. (Defaults to prevalent units in country of origin.) doflg=ptk outputs directions in metric (km) and doflg=ptm outputs directions in imperial (miles). cbll= “cbll” is latitude,longitude for Street View. panoid= “panoid” is the panorama ID, which is the ID of the current nearby panorama object in Street View. hl= “hl” stands for “host language”. om= “om” stands for “overview map.” The presence of this parameter with a value other than 1 causes the overview map to be closed. If the parameter is omitted, or present with the value 1, then the overview map is open. ie= “ie” stands for “input encoding” and can be used to specify the input character encoding set. oe= “oe” stands for “output encoding” and can be used to specify the input character encoding set. output= “output” is for output format (blank is default). f= “f” stands for “form” and controls the style of query form to be displayed. f=d Displays the “directions” form (two input boxes: from, to). f=l Displays the “local” form (two input boxes: what, where). f=q (or no parameter) The default search form is displayed (single input). pw= “pw” stands for “print window.” It activates the print mode and initiates printing. Example, pw=2. iwd=1 “iwd” stands for “info window display” and specifies that the infowindow displayed (iwloc=) will be a detailed (expanded) view. iwstate1= iwstate1=ssaddfeatureinstructioncard Specifies that the infowindow is in add place mode. Use with ssp=addf and iwloc=SS. iwstate1=sscorrectthiscard Specifies the infowindow is in edit mode. iwstate1=sscorrectthiscard:ssmovemarkercard The infowindow is in Move marker mode, with the marker bouncing and draggable. iwstate1=sscorrectthiscard:ssedithistorycard The infowindow is in View history mode, displaying a graphical list of marker moves. msa= “msa” is involved in My Maps processing. It does nothing without the “/ms” and “/ms” does nothing without the msa=. msa=0 Used with msid= to show a particular My Map.msa=b Activates the “My Maps” sidebar when used in conjunction with “maps.google.com/ms”. msa=1 shows the My Maps tab directly (like msa=b did). msa=2 Jumps directly to create new My Map form. msid= “msid” specifies a My Maps identifier. 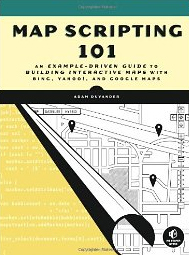 When used in conjunction with “maps.google.com/ms” and msa=0, the corresponding My Map is displayed. What is a Query String Anyway? A query string is the part of a Uniform Resource Locator (URL) that can contain data (called parameters) to be passed to web applications such as CGI programs. When a web page is requested via a web browser, the remote server locates a file in its system based on the requested URL. This file may be a simple file or a program. If it is a program, the server may run the program (depending on its configuration), and send output as the required page. The query string is a part of the URL which is passed to the program. It’s use permits data to be passed from the HTTP client (often a web browser like Mozilla Firefox) to the program which generates the web page. This site uses software from WordPress which uses query strings to indicate criteria to search for specific posts or sets of posts in the database. This default use of query strings may reduce search engine optimization (SEO) efforts so pretty permalinks are used here instead. I use the /%category%/%postname%/ permalink, which is probably the most popular. What is a Shareasale Datafeed and How Does it Work? Does Hardee's Serve Biscuits and Gravy at Night? Copyright © Erich Stauffer. All Rights Reserved.